In Part 1: of this series, we discussed the secrets to choosing a great DJ. In part two we’ll help you select the perfect photo booth for your event by revealing the three questions many photo booth rental companies would prefer you didn’t know to ask. I’ve got good news, and I’ve got bad news… let’s start with the bad news and get it out of the way. The bad news is that many of the elements that distinguish one Photo Booth from another are hidden inside the booth. If you don’t ask the right questions beforehand, you may not find out you’ve chosen the wrong option for your event until it’s too late. The good news is that even if you don’t choose the best option all is not lost. In renting a photo booth, your job is much easier than hiring a DJ. People will often enjoy even the most horrible looking, poorly operating photobooth as long as it manages to take and print photos. There’s something about a photo booth that’s ALWAYS fun. I’ll assume that since you’re reading this article you’re interested in learning how to pick the right booth and not one that looks awful and operates poorly, so lets dig into the questions and answers you need to make an informed decision. Ask: What Type of Camera Do You Use? There are many camera options available in today’s photo booths. Most use either point and shoot cameras, or DSLR (Digital Single-Lens Reflex) cameras. DSLR cameras will generally give the highest quality photos. They are the large body cameras that professional photographers use. Though you can’t take better photos than your camera allows, it’s not only about the camera. A skilled photographer with the right lighting can take breathtaking photos with an iPhone. Also, the lens is often more important than the choice of camera. The point here is not to look for a company with expensive equipment, but to find out what type of camera a company uses in their booth and why? If they’re using a DSLR, you can assume it’s for quality. If they’re using something else, find out why they’ve chosen that camera. If they aren’t using a DSLR you might want to follow ‘What camera do you use?’ with, ‘Is there a reason you don’t use DSLRs?’ to see if you get a good answer. For example, if the photo booth is very compact, it’s possible that a DSLR wouldn’t fit. 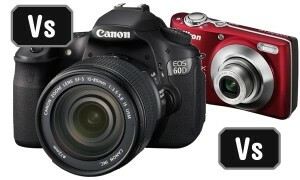 If they’re using a cheaper camera instead of a DSLR, are they passing those savings on to you? Is that cost savings worth the loss in quality of your photos? Tip: Take a look at the photos on the company’s website. Do they look grainy and dull, or bright and vibrant? Make sure you’re looking at actual shots from the photo booth. Some companies hire a professional photographer for their site photos, but the shots the booth takes aren’t nearly as impressive. Ask: What Type of Printer Do You Use? The main two types of printers used by photo booth rental companies are Ink Jet printers and Dye Sub (Dye Sublimation) printers. The quality of the photos printed with each of these two options often looks the similar to the eye, but the processes used to create the photos are different. Ink Jet printers spray tiny ink droplets on the paper, and Dye Sub printers use heat to transfer dye onto the photo paper. Ink Jet prints can have amazing color, but usually don’t have the durability of Dye Sub prints. Dye Subs fuse a thin glossy laminate on each photo which protects the print from discoloration from UV light and the air, while also rendering the print water-resistant. Dye Sub prints emerge completely dry from the printer so there’s no chance of smudging your photos. They’ll hold up to any water or spills on tables at your event, and don’t fade in the sun the way Ink Jet prints can. A drawback of Dye Sub printers is that the printer is built to handle only standard paper sizes. The standard sizes are 4×6″ (or two, 2×6″ strips), 5×7″, 8×10″ etc. Ink Jet printers can often handle any size paper by getting the paper cut to size before the event and adjusting the paper tray to fit. Dye Subs are best suited for printing photos and graphics, while text is much more crisp on an Ink Jet. I’ve probably bored you with more than you need to know about the different types of printers, but if you’re interested in more information, check out this eHow article on Dye Sub vs Inkjet printers. Tip 1: If the company you’re hiring is using an Ink Jet printer it’s best that they have two printers going at a time. That way the wait for each print is shorter and there’s a backup printer when they need to change the ink cartridges or paper. Tip 2: Dye Sub printers often print twice as fast as an Inkjet printer. The speed of the printer directly effects your Photo Booth experience. A longer print time means that the photo booth company will spend less on supplies because they can’t physically print as many photos during your rental, but your guests will wait longer in line and get fewer opportunities to use the photo booth. Ask: How Many Prints Do We Get Of Each Photo? By far the biggest misconception about photo booth rentals is that unlimited photo booth use means that you get as many photos as you like. Unlimited prints actually means that your guests can go into the booth as many times as they want during the course of your rental. 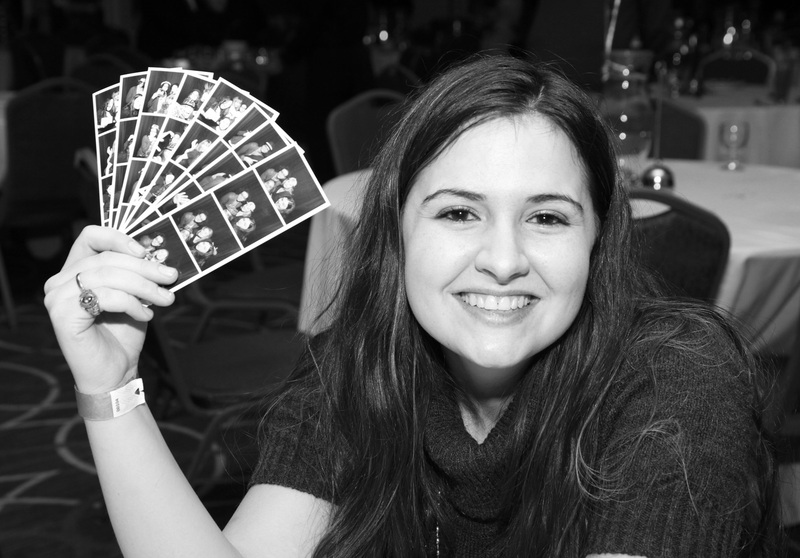 Some vendors offer single or double-prints during each session, while some others allow each person in the photo to request a printed copy every time they’re in a photo. A print for each guest is often called ‘free reprints’. The cost of the photo booth is often determined by the availability of the ‘free-reprint’ option since the amount of paper and ink used goes up proportionately with the number of prints created at an event. The average photo booth session has 3.5 people and takes about 2 minutes (if creating a 4 photo strip). If the company only offers single prints, you’ll need almost 4 times as much rental time for everyone to get a strip to take home and remember your event. If you chose to add a guestbook (aka scrapbook) to your photo booth rental with a company that offers double prints, usually one print goes in your book, and your guests get the other print. Tip 1: “Unlimited Double-Prints” sounds as if you get as many double prints as you want. But this actually means people can go back in the booth an unlimited number of times during your booking hours, but only 2 prints are created each time. Tip 2: Companies that offer a print for each guest generally charge more per hour of service, but you need fewer hours of rental to make sure all of your guests leave with a print in hand. A 4 or 6 hour rental with single prints could accommodate the same number of guests as a 2 hour rental with unlimited reprints. The camera, printer and number of prints per session are usually the main three items that affect the cost and quality of your Photo Booth rental. A booth that uses a DSLR camera with a professional lens, can capture better photos than a point and shoot, but can easily be 10 times more expensive. A Dye Sublimation printer will create prints that are smudge proof, fade proof and ready faster, but is also much more expensive than an Ink Jet photo printer. The cost of the higher quality equipment will usually be reflected in the rental price. Hopefully after reading this article you’re a bit more well equipped to decide which photo booth options are best for your event. You ask: What does Snapfuze Use, and Why? At Snapfuze, our goal is to help you make your event more memorable. For that reason we use Canon DSLR cameras to capture your memories in vivid detail, and the fastest professional Dye Sub printers on the market to minimize your guests’ wait in line and maximize our ability to quickly offer a beautiful print for each guest (plus an additional to go in your Photo Guest Book if you choose to have one). If budget is a concern we offer double-prints per session as an affordable alternative to instant reprints for each guest. With each rental, Snapfuze includes digital sharing options so your guests can instantly get a digital copy of their photo right at your event to share on Facebook, Instagram or Twitter. Using the highest quality equipment means we won’t have the lowest prices, but you can trust us with your treasured moments, and know that we understand there’s no room for second chances. You’re paying hundreds of dollars to make sure people never forget your event. It would be a shame if the photos were blurry, smudged and faded or if someone else got the only available strip, before your guests got them home. Let us know below in the comments or via our contact form if you have any questions we didn’t cover. 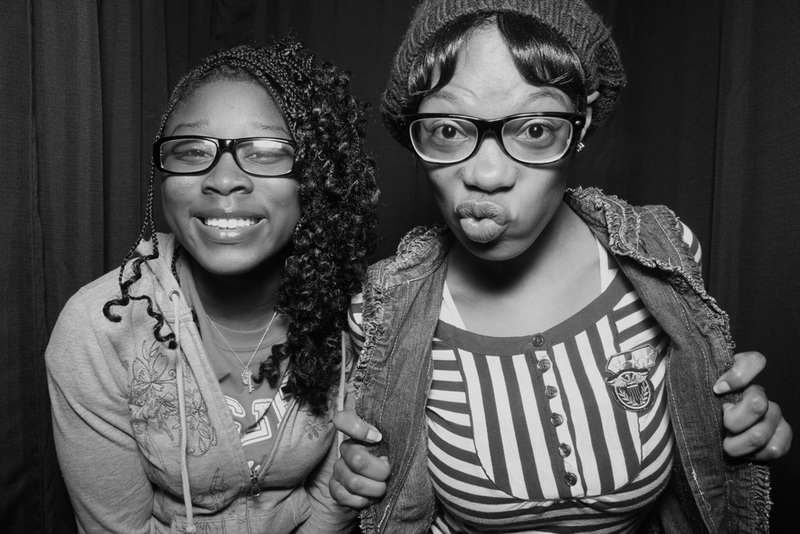 There’s just something about a Photo Booth that is ALWAYS fun. However, most of the issues you’ll run into with a Michigan Photo Booth company aren’t as obvious as with a poor DJ. Many of the drawbacks aren’t visible, they’re hidden inside of the Photo Booth and you’ll only be aware of the problems long after you’ve hired the company. That’s so true about Photo Booths. We use only DSLR cameras and Dye Sub prints to ensure that our customers are happy both during the event and years after when their photos still look great! Great article! But don’t you think Point and Shoot technology has improved a lot as well? And hiring a photo booth that uses a great Point and Shoot camera isn’t that bad either? My daughter is getting married soon, and she really wants to have a photo booth set up at the reception. I totally agree with her, and think it would be a fun addition! I really like what you said about asking how many prints will come with each photo taken. We want to be able for the guest to take one, and then to be able to leave one for the bride and groom to keep. It is obvious fact that no occasions can be celebrated without taking pictures. From intimate birthday party to grand wedding each precious moments must be captured and preserved well. It is just because when the fun is over, the only left part are the memories of such a jubilant gathering and the evidence of the party will be the pictures. So, the reasons to rent photo booth for the event are given below. 1)It provides everyone a chance to pose in front of camera. 2)It prints the photo quickly. 3)It provides almost all kinds of entertainment with the help of different props. So, one should hire photo rental service from a trusted and reputed company in order to give to give a life to his event. Thank you for such lovely post. It really helped when you said that the type of camera used in the photo booth can really affect the quality. I’ve never thought about that when I think about photo booths. I’m going to look for some photo booths to hire for my daughter’s birthday party, so this tip will come in very handy! It is amazing how many people need to read this article! 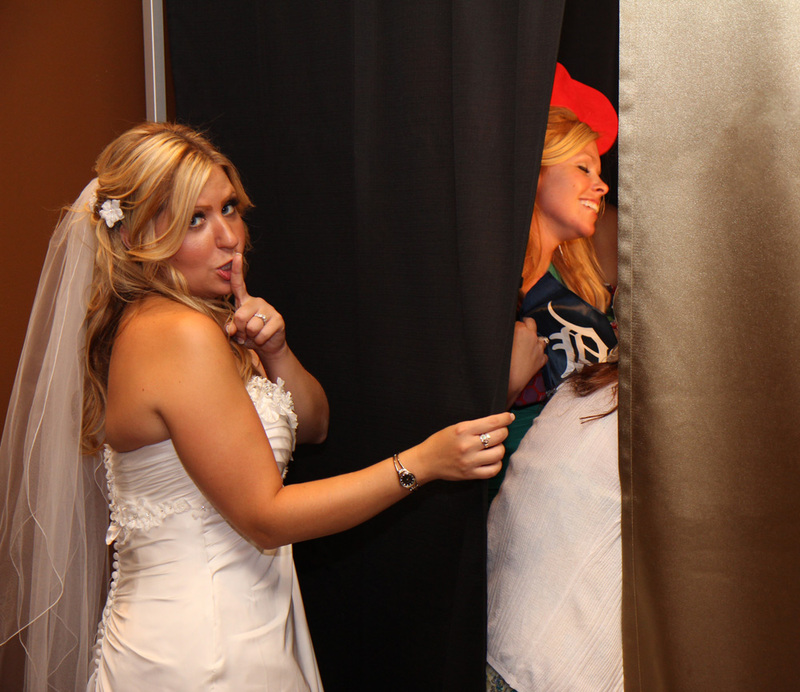 The Photo Booth experience is meant to capture the moment and attendees of the event. If good camera equipment is not used then the images might be affected. We think it is important to use good equipment. It is also so important to know about the prints and the right printer setup. Great article Snapfuze!